DENVER (AP) The U.S. Forest Service approved construction of a road across public land to reach private property where a developer plans to build condos and restaurants at a remote Colorado ski area. The decision was the latest milestone in a three-decade battle between the developer and environmentalists over the proposed Village at Wolf Creek in the southwestern corner of the state. Opponents said they were considering a challenge. 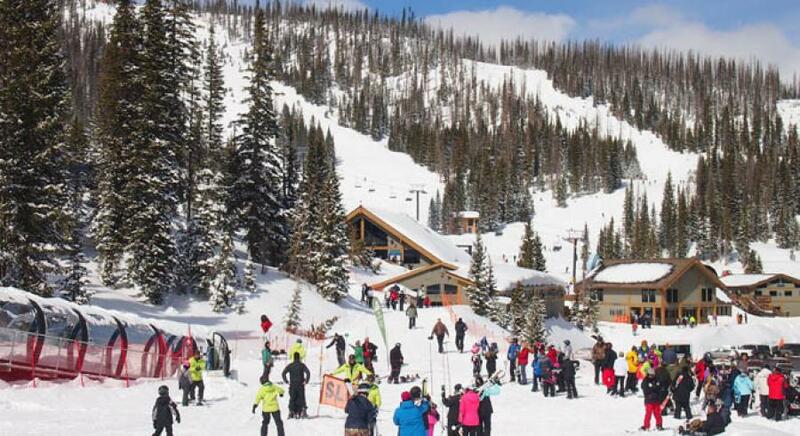 The developer, Texas-based Leavell-McCombs Joint Venture, plans to build 1,700 to 2,000 housing units along with stores and restaurants at the base of the Wolf Creek Ski Area. The site is 175 mi. (280 km) southwest of Denver and 85 mi. (135 km) east of Durango. Environmentalists said the development would interfere with the migration of endangered lynx and damage wetlands and other sensitive habitat at the site, which is about 10,850 ft. (3,300 m) above sea level. Opponents also question whether local governments and communities have enough services to support a development of the size that Leavell-McCombs plans. Mineral County, which includes the site, has fewer than 800 residents. Leavell-McCombs has been trying since the mid-1980s to build the Village at Wolf Creek, but the company first needed access across Forest Service land to connect its property to the nearby U.S. Highway 160. The access road would be 1,610 ft. (490 m) long. The Forest Service said a 1980 federal law called the Alaska National Interest Lands Conservation Act requires the agency to give property owners access to private land within a national forest for "reasonable use and enjoyment" of the land. "We're of course pleased with the decision, because we have claimed all along under that federal statute we are entitled to this road access," said Clint Jones, project manager of Leavell-McCombs. Matt Sandler, an attorney for Rocky Mountain Wild, questioned whether the law applied to this case. He said the law was designed to give Alaska landowners access to their land if they had no other way to reach it. The Leavell-McCombs site is already connected to the highway by small Forest Service roads, Sandler said, although they might not be big enough to serve the planned development. "It seems like the Forest Service has been kind of holding hands with the developer throughout the decades of this debacle," Sandler said. Jimbo Buickerood of the San Juan Citizens Alliance, another opponent of the project, said federal courts have already said the Forest Service did not adequately study the environmental impacts of the road. He called the decision "bewildering." Sandler and Buickerood said their groups were considering a legal challenge but had not decided. Even without an appeal, construction of the road would not likely begin for 14 months while the company applies for local permits and completes other paperwork, Jones said. The company made previous attempts to get permission to build a road or to swap land with the federal government to get access to the highway, but they were stymied by legal challenges. Leavell-McCombs had said previously the project would include about 1,700 housing units. Jones said the company might expand that to nearly 2,000.